You need a back office that works as hard as you do. Move all of your POS reporting to your back office computers and be sure your Point of Sale system works to maximum efficiency. NCC has the perfect solution that allows your store front end to work in concert with your desktop or laptop. PC Workstation, a Windows®-based application from NCC that gives you, the manager or business owner, control from your back office. No more running activity and reporting from the checkout register, kitchen or bar. You get peace of mind by pulling everything into the secure back office setting. PC Workstation requires minimal set up and training but is powerful enough to combine all of the data from your POS networks and terminals, providing you real-time data. Use our Reflection POS® Embedded system with PC Workstation to provide your team efficiency, productivity and support. All of your reports are available at your fingertips. Create department and product sales reports; credit card summaries and refunds; labor reports such as tips, pay, hourly labor and time cards. Inventory reports are provided to help with daily or weekly counts. You can track food costs and view employee reports that gauge productivity and eliminate shrinkage. Everything is available at a touch of a screen in your back office. PC Workstation provides up to 150 real-time reports and can archive up to 12 months’ worth of data. Our program is QuickBooks® compatible and we offer hard copy reports sent directly to your printer. 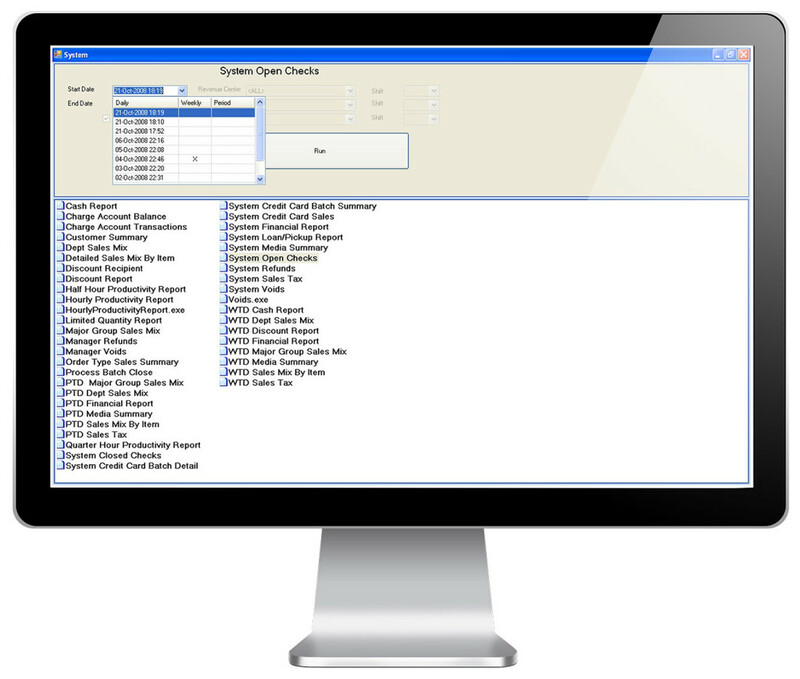 Finally, a back office system that can keep up with you. PC Workstation allows you to pull financial reports by station and open checks by revenue center. Keep track of inventory totals and count sheets when you need the information. What you need, when you need it. Choose a reseller from our hundreds of knowledgeable experts to help you move your POS system control to the back office as they assist you step-by-step, through the entire process. PC Workstation will prove familiar and intuitive because of its user-friendly interface and ease in pulling reports. More importantly, it puts you in control of your back office.